Any kind of mental health issue is a serious issue. Any kind of mental health issue can indeed happen to anyone. 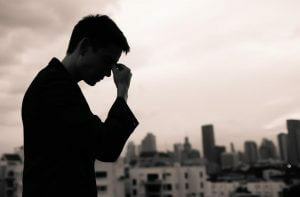 No one is immune: yet in spite of this fact, there are countless myths, in particular, surrounding the mental health of men. Many will state that due to the masculine macho image that a lot of men are pressured to keep up, talking about issues like anxiety or depression is a lot more difficult. In general, some people believe that men are less emotionally available than women. It is this thinking that has led to a lot of mental health issues among men going undetected. In addition, these myths continue to be perpetuated even today when there is a considerable push to talk openly about these issues. One of the biggest myths out there is that men don’t get depressed. This is nonsense and mental health treatment centers will also beg to differ, as would any psychiatrist. So where exactly does this myth come from? There’s one major reason and that is simply that most men will not admit to frequently crying. In most cases, anger and irritability tend to be the more common symptoms which could show a level of depression. In addition to maybe not showing typical symptoms, there is also the fact that a lot of depression in men is under reported. Very few would ever voluntarily commit themselves to mental health inpatient treatment centers, speak to their doctor or perhaps even talk to a loved one about the issues they may be going through. “Soldiering on” is another macho image that most men are expected to keep up. If anything bothers them, they’re supposed to bottle it up and stop complaining. Phrases like “man up” are evidence of this. It, therefore, takes a lot to separate this idea from the minds of many men that, yes, feeling down or miserable is simply something that can happen to everyone regardless of gender. A more common myth, and one that indeed pertains more to everyone rather than just men specifically, is that you cannot have mental issues if your life is going great. This is not true: depression, anxiety and a range of other emotional and mental illnesses can occur and have an effect no matter the status of one’s life. So, What Can Be Done About These Myths? The truth is that it is going to take a long time to break down misconceptions like this, as they tend to be deeply ingrained into the psyche. However, starting off on an individual basis is usually a good idea. This is especially true if you feel that there are any problems you may be suffering from. There is indeed no shame in seeking out mental health treatment centers, even if it is just for a consultation. Most people, however, will speak to their doctor first. Although it may seem obvious, it is important to continually reiterate that this is something that can happen to anyone. Any gender, any class… Mental health does not discriminate and its consequences can be life-altering if it is left untreated. Impressing this upon men, in particular, is important. In addition to depression, problems like anxiety are often also seen as women’s issues… Yet there are countless people out there who suffer from it to some degree. And the physical effects (loss of sleep, appetite, overeating etc.) can also have a severe impact on physical health. It also doesn’t help that anorexia, which is indeed a form of mental illness, is seen as a “girl’s condition”. These stereotypes need time to be broken down… But the first step is understanding that they are myths and that these issues don’t discriminate.